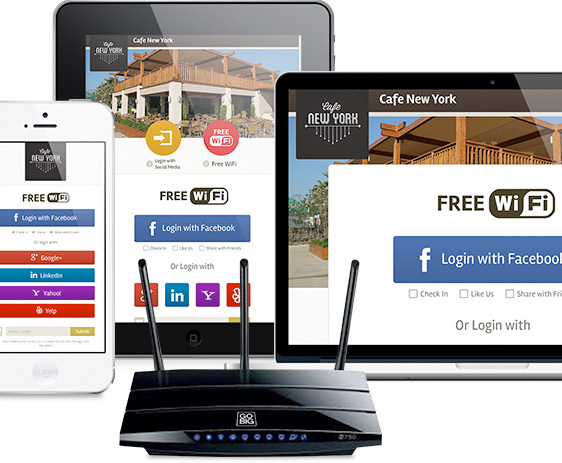 Offer your customers free quality WiFi through validation, while promoting your business. Your customers must register only once, Facebook, Twitter, Linkedin or just email. Post your News and Offers on your social platform (Facebook, Twitter) and arrive immediately to your customers. Know who is and was in your business for Online and enjoy powerful statistics. Loyalty of your customers and visitors. Available with most social platforms. From 34 € + VAT per month.